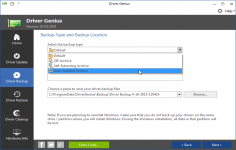 Driver Genius is a simple and reliable software for your computer’s health, taking care of its drivers by keeping them up to date and making backup. 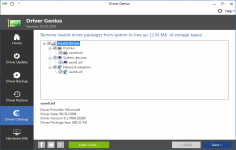 Driver Genius is a handy and comprehensive utility when it comes to drivers, that allows you to save all your drivers (graphics card, network card, sound cards, USB ports, keyboards, mice, monitors, digital cameras, modems etc) in a location, or create an executable file that you can run after installation, making it a very easy task for back-up and restore. 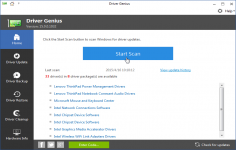 It perfectly integrates with Internet Explorer for web access, checking more than 100,000 different drivers for matching to replace your existing old drivers for devices installed on your computer thus improving its performance, bug removal and security fixes. The drivers can be updated regularly via a "Live Update" tool synchronizing your configuration daily with the latest versions available. With a simple and clean interface, the application offers information about hardware temperature monitor, helping you to protect your CPU, GPU and hard disk. In addition, it serves as a diagnostic tool on your system and provides some op-tions for you to access the overclocking options for your graphics card. Added 'Delete user data' option for uninstallation program.